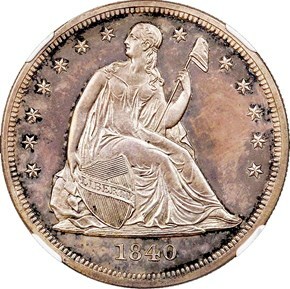 It has been suggested that the original mintage (61,005 pieces) of the 1840 Seated Dollar accounts for 61,000 business strikes and five proofs. 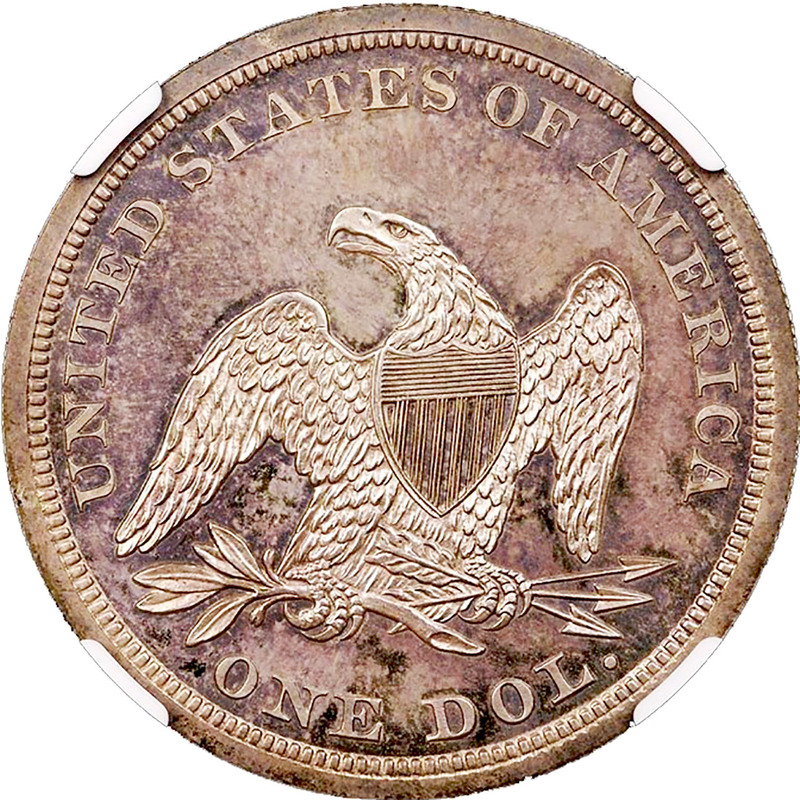 Judging by current NGC and PCGS population data, however, it seems likely that the Mint produced more than five proof Silver Dollars in this, the first year of the type. The exact number of coins delivered is not known with certainty, but it seems probable, despite what Bowers says in his 1993 encyclopedia, that some of the examples extant are restrikes. 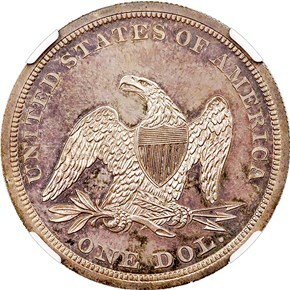 Nevertheless, it is probable that no more than 20 proof Seated Dollars dated 1840 were produced.